Zebrawood, also know as zebrano, is an exotic West African timber long revered for its honey-blonde heartwood and irregular caramel striping. 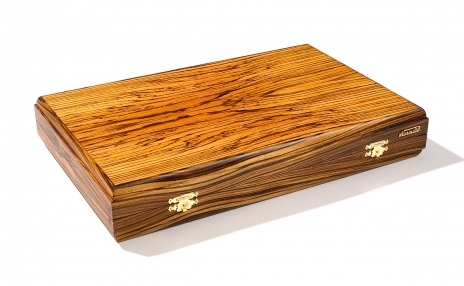 Found in skis, fine furniture, and Mercedes-Benz sportsters, zebrawood adds beauty to everything it builds. 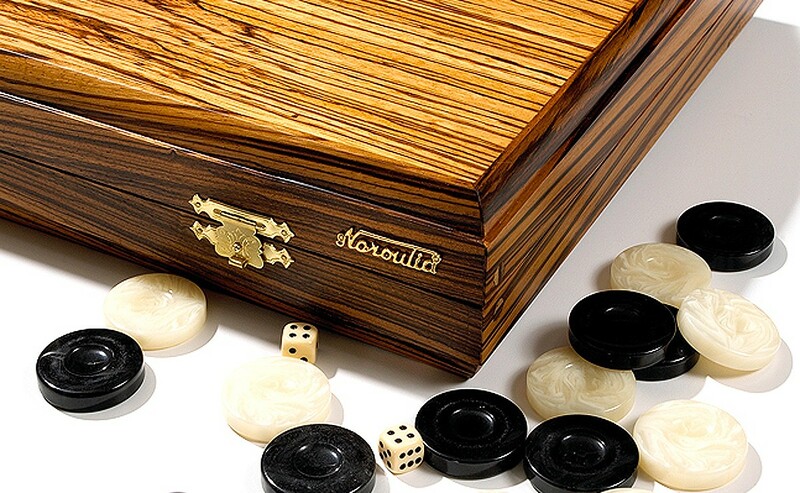 The Neroulia Zebrano backgammon set is hand hewn in opulent zebrawood and adorned with a chocolaty interior and golden wedges. 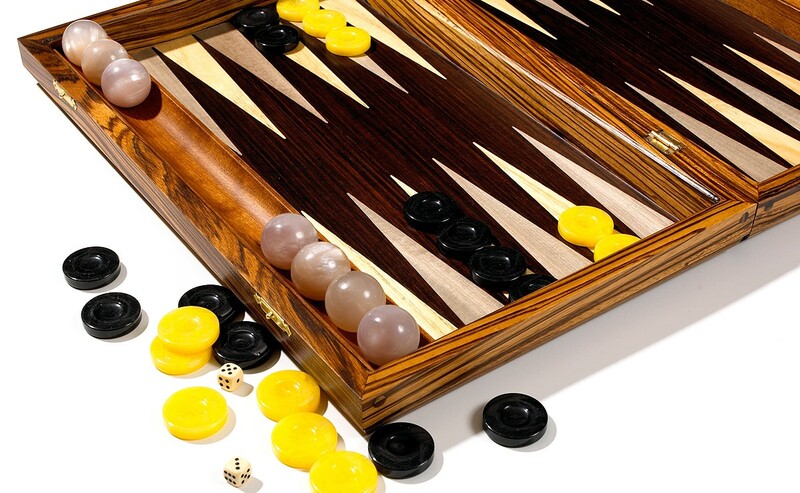 The smooth playing surface encourages quick competition and folds to enclose the included stones, doubling cube, and precision dice. Simple, high-finish latches secure your confidence from parlor to park, and Neroulia's quietly sophisticated logo decorates the distinctly bewitching exterior. 27.6" × 18.9" × 1.6"